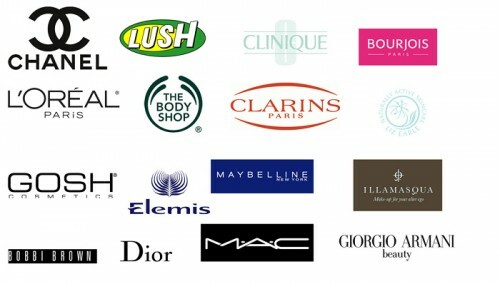 How much loyalty do you show brands when you shop? I tend to be more loyal to my skincare brands than I do my cosmetic ones. Why is that? I’m not sure.. perhaps I’m less inclined to “experiment” and risk upsetting my skin. Whatever the reason, when I find something that works, I usually become fiercly loyal for a relatively long period and it takes a lot of persuasion to make me change. I’ve recently thrown away all my pencil eyeliners except for my GOSH Cosmetics Velvet Touch ones. Once I started using these, I didn’t see the point of keeping the rest as my hands simply stopped reaching for them in the morning. What brands are you loyal to? And Why? I am probably only loyal to my superdrug nail polish remover, nails inc victoria and albert nail polish, Loreal voluminous mascara, chanel perfume and epaderm cream for my eczema. Everything else is replaceable lol! Well MAC obviously, but I have so much of their perm line that I’m only really checking out LE stuff now. I’m all over the place when it come to skincare. I’ll repurchase what works for me but will always buy new skincare products too. I’ve been pretty faithful to TBS coconut body butter but that’s changed now I’ve discovered Boots Extracts line. Erm, I’m faithful to Burts Bees lip balm now too. Oh I’m def loyal to my haircare products. Aphogee all the way for the basics – shampoo, conditioner, treatments & masks. I’ve not come across anything else that compares for my hair type. I’m not really loyal to any cosmetics. Theres so much to choose from! Depends on the product; I’ve been loyal to Clinique for skincare since I was 15, and my skin has generally been blemish/breakout free, so it works for me and I am afraid to switch in case the new regime doesn’t work, LOL. Cosmetics-wise, not so much, though there are some items I will ALWAYS buy from a brand (Hello, Dior eyeshadow quints) I rarely buy all the makeup products for one line. I’m not really loyal to anything lol. I love trying out new stuff. The only thing I am adamant about it sticking with high-end foundations as I have fairly crappy skin. Having said that, I do have the maybelline mineral liquid foundation, which is nice, but still I don’t wear it often, unless I run completely out of posh stuff and i’m skint! Oh and i love Clinique skincare products, but i’ll easily go for cheaper stuff if i’m not feeling flush. As soon as I find a skincare routine that doesn’t aggravate my skin, I’ll be brand loyal for life. Until that day I’m putting it about all over the place like a shameless hussy. Most Revlon things I’ve purchased have not let me down but I am fickle and I don’t like to stick to one brand. I’ve gotten some bad quality and some good quality stuff from all over the place. I’m loyal to Lily Lolo for their mineral foundation – I’m just about to buy my fourth or fifth pot of it. I’m loyal to St Ives, I think there maybe better products out there for my skin but I still stick to St Ives for some reason.